Regiment/Service: Machine Gun Corps (Infantry) 156th Coy. 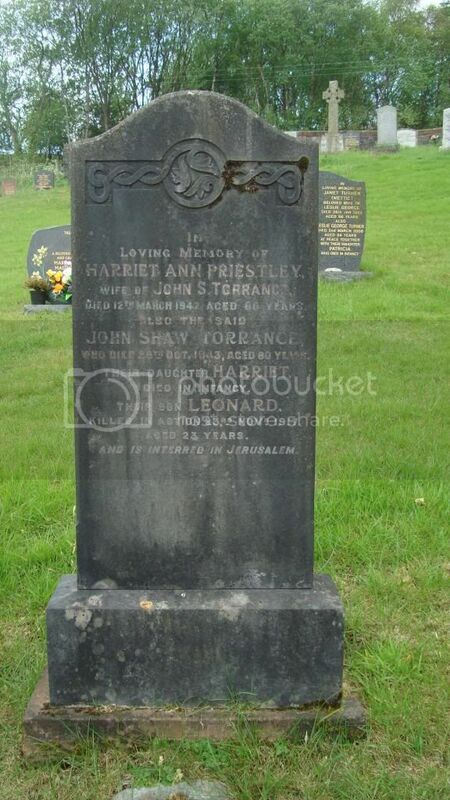 Additional Information: Son of John and Harriet Torrance, of 2, Durban Place, Well Rd., Moffat, Dumfriesshire. Grave Reference I. F. 18. 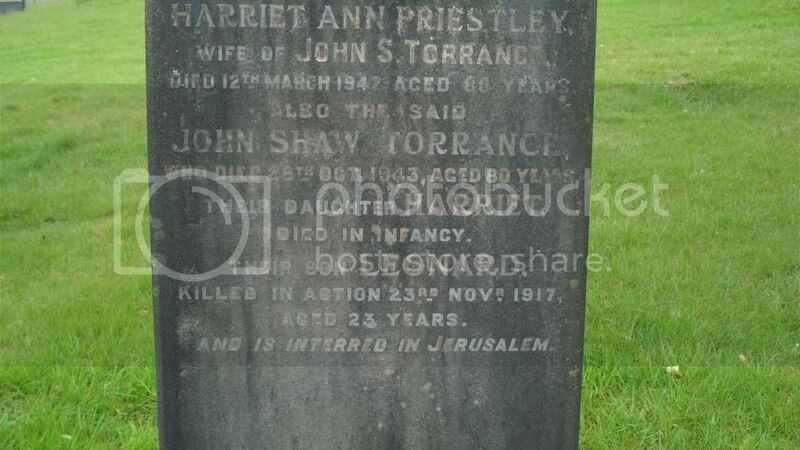 This is a really unusual case of repatriation for burial after death. In fact I believe that such repatriations were barred from the middle of July 1915 so this might be one of the last cases. Pollard was wounded at Ypres on 7 July and died in hospital in Abbeville. His father, a retired medical practitioner, had travelled to be with his son and presumably brought his body home for burial. News has been received by Dr. Pollard, Burns Cottage, Moffat that his son Lieut. Edward Pollard of the Royal Engineers, has been seriously wounded in the fighting around Ypres. Lieut. Pollard, who was engaged in sapping work, has been dangerously wounded on the head. Dr. Pollard, who is a retired London medical practitioner, left Moffat on Monday for Belgium in the hope of seeing the wounded officer. The remains were enclosed in an oak coffin covered with the Union Jack and many floral tributes.